Congratulations to everyone who helped pull off an incredible interview season! 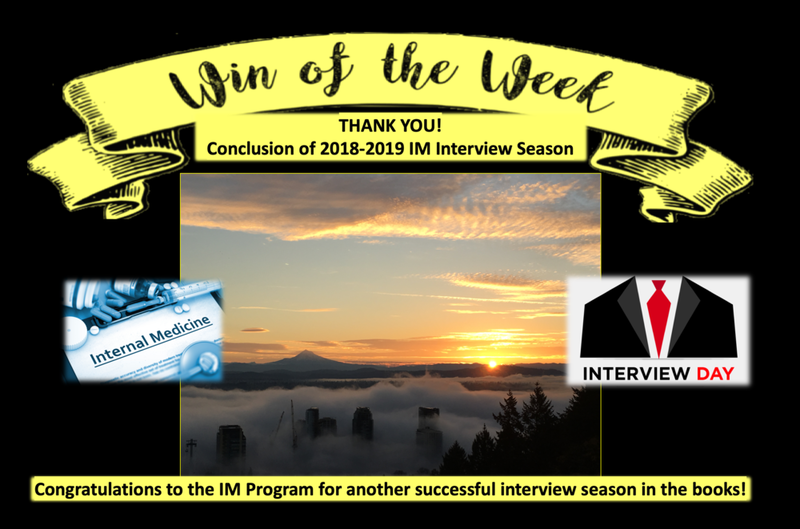 The 2018-2019 OHSU IM Residency Interview Season is in the books! The last candidates came by to visit our progra on Wednesday 1/23, and were of course wowed by the professionalism and camraderie that our program displays every day. Many thanks to the countless hours put in by our residents, Education staff, DOM staff, and program leadership to demonstrate to the newest intern candidates what life at OHSU is really about. We are proud to be a part of the program and can't wait to see the results in a few weeks!